A big champion with a small team, that is how Paul Gevaert and Carlos Lannoo are often referred to. The successful Chateauke and Kaafke bloodline gained quite a reputation within team Gevaert-Lannoo; it proved an invaluable bloodline that combined really well with the Bliksem bloodline of Gaby Vandenabeele. It was a combination that led to terrific results. 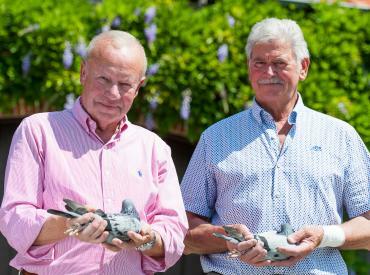 Ivanka became the team's new leading name in 2018, as 1st Belgian pigeon in the Olympiad in category H. Team Gevaert-Lannoo is now selling a fantastic collection of birds from their best breeders.